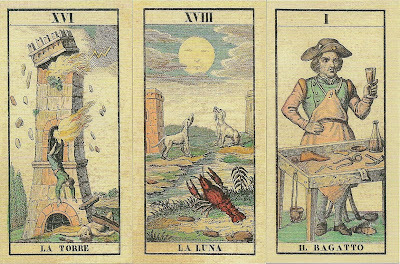 This is a reproduction of a deck originally printed by Teodoro Dotti circa 1845. 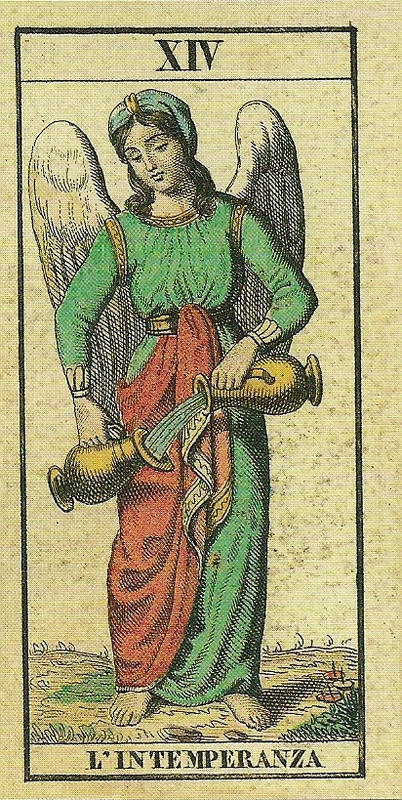 He and his son Edoardo published many decks based upon these designs, though most of these were woodcut decks. An engraved deck such as this one would have cost more because of the skill and time required for the finer lines. 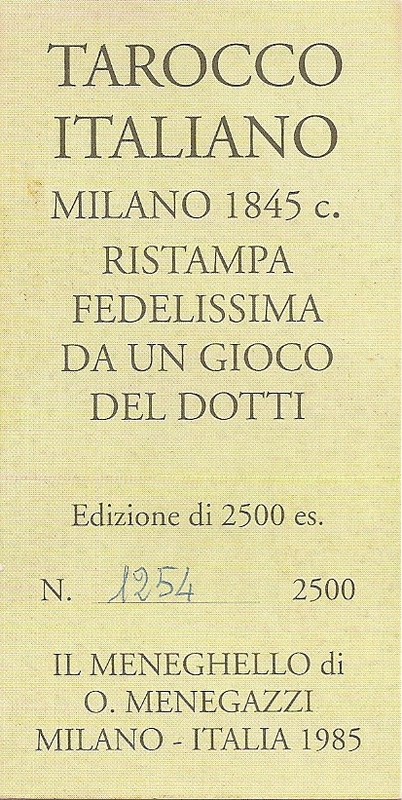 Dotti's playing card factory was in direct competition with Ferdinando Gumppenberg's factory at that time. 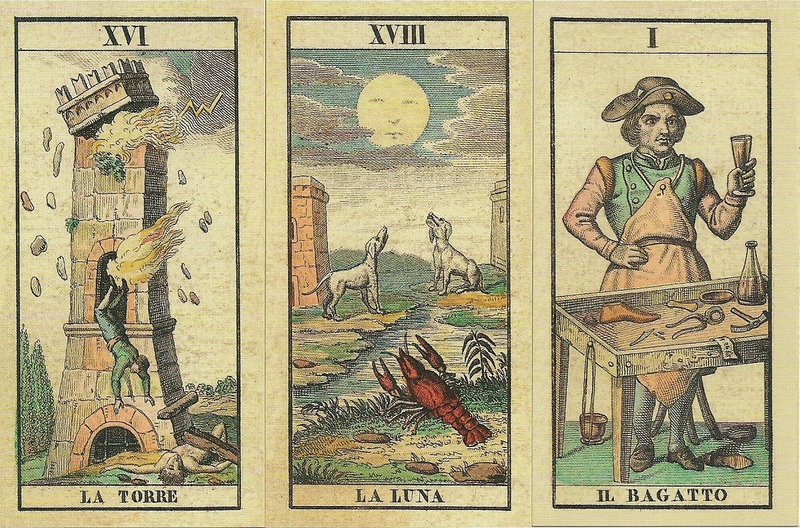 Gumppenberg's Soprafino Tarot was published ca. 1835 and there are many similarities between the two decks. Trump XIV has the unusual title of L’Intemperanza instead of the usual La Temperanza. This probable misspelling was copied onto a few subsequent decks. The small cards have square corners and the backs have a regular pattern of dots.There is no LWB or instructions of any kind.